Corporate Clean Property Services provides a high quality carpet cleaning services for all commercial, industrial and residential requirements, in both the public and private sectors. Our carpet cleaning services can tackle a whole range of marks and stains including oil, grease, coffee, tea, ground-in dirt, oil, paint, lipstick and many more unidentifiable stains. Carpet cleaning can also remove dust mites, bacteria and odours. 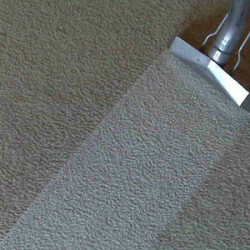 Regular carpet cleaning offers benefits that lead to extended carpet life and long term cost savings. Corporate Clean Property Services has over 20 years of carpet cleaning experience and a range of high-tech equipment which ensures your carpet receives the best care available. Hot water extraction is the only effective cleaning process which truely deep cleans your carpets, leaving them fresh and healthy. This is the only cleaning method classified as deep cleaning. All the others are considered “light surface cleaning” because they are incapable of removing soil deep in the pile. Our ‘wet’ steam cleaning gives a superior and deeper carpet clean with significantly shorter drying times than other cleaners.